I'm still trying to get over the fact that you read it when you were 10! I don't remember my first time, but I've always loved it, and like you, gotten something different out of it each time. Jane is one of my favorite characters--I love her strength and determination. If I were her, I probably would have just given into Mr. Rochester when he says that bit about the string between their hearts. Swoon! 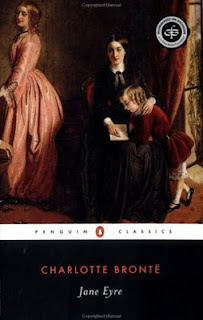 I recently read Jane Eyre for the first time, and thoroughly enjoyed it. I like your comment that...it is not a love story at all. It is a story of coming in terms with one's self, of choices and of understanding what is one's way.